Well, there is nothing to worry about building a chook house from scratch. As long as you have all the information and materials you need, then you can easily move forward. However, to make things simple and quick, we have gathered these useful facts for you. Space is very important in a chook house. To be sure that your flock stays happy and healthy throughout their lives, it is just right to give them the space they need. But take note that the size of the chicken coop you need varies depending on the number of birds you are planning to raise. Ideally, every chicken must have at least 3 feet space. Therefore, if you have 5 birds, you’ll have to get an enclosure that measures 15 feet. In addition to the recommended 3 feet space, every coop must also have a roosting area, a nesting area, and a feeding area. Regardless if you are getting a mobile coop or something that is stable, it is important that you have doors to access the interiors and exteriors. This way, you don’t have to worry so much how to clean it. Also, if you have an outdoor run, the door must open from the run. You don’t want your birds to be all crowing to be let out. There should be one nesting box for every four hens. Nesting boxes don’t have to be very large. In fact, one nesting box for every four to five chickens is already enough. Just fill it with straw and other comfortable lining like hay. For sure, your birds will be very comfortable while laying eggs. Here’s another useful tip. To maximize the use of a nesting box, put it somewhere dark and quiet. Placing it below the window or somewhere near the roof is fine. Outdoor runs should have plenty of roosting space. Chickens perfectly love roosting spaces. As a matter of fact, they do appreciate a huge litter pan filled with some ashes and play sand. For them, it is already like spending a relaxing day at the massage or spa. Windows are vital for proper ventilation. During the hot summer days, the temperature rises, so your birds might feel very warm. Thus, to help them feel refreshed and cool, make sure the chicken coop has enough windows. With this, fresh air can properly circulate inside and out. However, if you are planning to leave the windows open, make sure you install wires on them. By doing so, other predators and critters won’t be able to wreak havoc among your flock. During winter, you might want to use barrel locks. This way, you can shut them tightly. 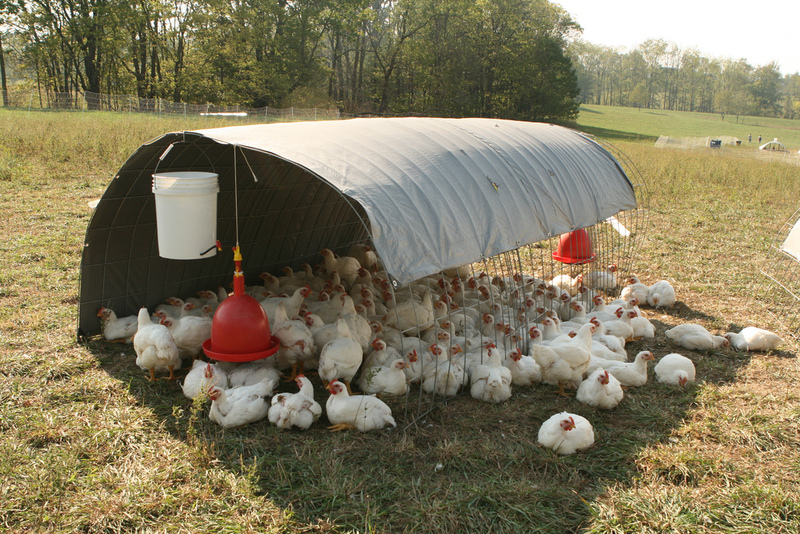 The location of the feeder can affect your chicken’s health. It is natural for chickens to scratch. With that said, you must place the feeder somewhere a bit elevated, but still accessible so as to prevent all the dirt and manure from going into their food. You don’t want to upset their stomach because of that. An added storage area inside the chicken coop would be of great use. Depending on the needs of your chickens, you might have to store several things in the chook enclosure – extra feed, straw, or medicine. But before anything else, make sure you seal them tightly. In the event of pest infestation, you still want to save these items, don’t you? The chicken coop will be very dusty all the time. As mentioned above, chickens love to scratch. Hence, dust and dirt are absolutely inevitable. Nevertheless, you can always beautify your chicken coop with some accessories, such as curtains and chandeliers. But if you don’t like that, repainting it over time will suffice. Wires that are sticking out of the chicken coop can only injure the birds. A human who accidentally trips on a sticking wire will acquire injuries. The same goes with chickens. So as a responsible poultry farmer, you need to check for any wires or possible objects that may cause injuries to your birds. In order to prevent bad things to happen among your flock, check the coop every now and then. If there are any broken or damaged parts, fix it right away. Chicken coops are sold in varying sizes, styles and designs. If you don’t feel like building a chicken coop from scratch, then we suggest you visit a pet store near you. There, you will find a wide variety of chicken coops that will fit your every requirement. But always remember not to compromise quality over price. Although there are still a lot of things you must know about chicken coops, we still hope that these facts we presented have helped you in some other ways.